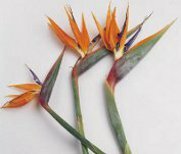 The bird of paradise plant should be watered thoroughly but then allowed to dry out almost completely before re-watering. Note – they don’t like to be over-watered, and in the rest period (winter) they should only be watered when the soil is almost completely bone dry. When growing begins in the Spring they should be given phostrogen feed once every two weeks, to encourage new growth. Strelitzia tend to do very well in a greenhouse/conservatory, though they should be protected from the frost. They usually start to come into flower at Xmas time and sometimes later in the Summer months. As soon as the frosts finish for the winter, you may place the plant outside in a sheltered south facing garden or in the greenhouse/conservatory. 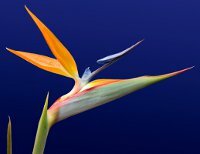 Strelitzia require as much sunlight and ventilation as possible. Feed once a week with a phostrogen feed to help encourage new leaves and flower spikes. The flower spikes usually take a few months to grow full size, but then take a few weeks/months to open up to reveal their famous flowers. As soon as the sterilities roots start to stretch the pot wider, it would then be wise to pot the plant up into the next size pot. . The bird of paradise tends to do very well in loam-based compost with either grit or bark chippings to aid drainage. The optimum pH is 6.5.